Any loan that requires you to pay fees upfront is always a scam. Legitimate lenders will add any fees to the amount of the loan, not ask you to pay them out of your own pocket. Legitimate lenders, banks, financial advisers do not use free emails addresses such as gmail.com, yahoo.com or consultant.com. They have their own websites and domains and will send emails from that domain. But note that having a website does not make someone legitimate. There is no such thing as private or international lenders. Only lenders that are authorised by your country's financial regulators can lend money to you and they will be large firms, not individuals. If you are considering taking loans from people who randomly advertise on social media or emailed you then it is likely that your credit history is such that you are not going to be getting the 2% (or similar) interest rates they are offering. If something seems too good to be true then it usually is. 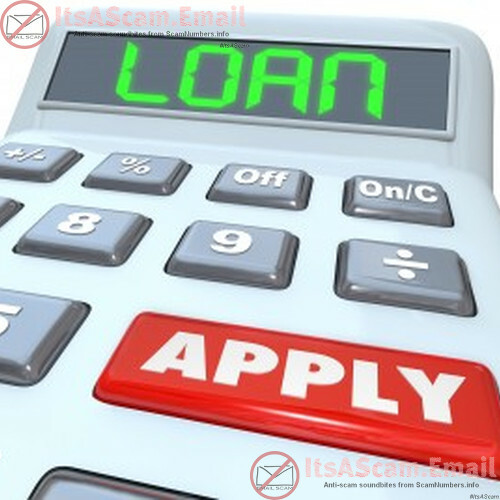 Legitimate lenders do not randomly email people offering them loans - that is called spamming and would result in them getting fined by the regulators. They would also not be randomly posting on forums or social media websites. No legitimate business asks you to pay money by Western Union/Moneygram or bank transfer to a random third party. No legitmate lender would be offering multi-million dollar loans to random people on the Internet.